Conspire is about conspiracies. If you wanted to count them, you could find at least ten, if not more, intermingled throughout the plot. All are related to politics, the press and power. Some are sinister, some are not. The trick is knowing the difference. An agreement to perform together an illegal, wrongful, or subversive act. The Murdoch press, in the UK, USA and Australia, is chronically addicted to performing illegal, wrongful, or subversive acts. The Leveson Enquiry is showing this in spades. Murdoch has built his media empire to influence the political opinion of the masses, in order to impose his will (or ideology if you like) and get what he wants (more power and more money). We should not take this for granted, yet somehow we do. It was not until his illegal activities were uncovered, in the form of phone hacking, that we paid any close scrutiny to his overall behaviour and influence on our society. I’ll give you an example of subversive activity that is being played out in Sydney, through Murdoch’s Daily Telegraph newspaper. Most people expect a newspaper to present the news. Amazing that. They expect the news to be a balanced appraisal of the facts. They just want to know what is going on in the world, and expect journalists to be ethically prepared to report facts in an unbiased way. Unfortunately, only a very small percentage of our community thinks about whether this is what they get. Most read the news, believe what they read and never question the motives or ‘vested interests’ of those people producing that news. In this report called ‘A Skeptical Climate: Media coverage of climate change in Australia’, the authors, who are academics in the field of journalism, found that between February to July 2011, the percentage of stories negative towards the Carbon Price policy compared to stories positive to the policy in the Daily Telegraph was 89%. Balance would be 50%. It’s not hard to see from facts like this that the Murdoch press is waging a war against action to reduce the catastrophic effects of climate change. If you don’t notice this empirically for yourself, then you are being had. Tied to this is their war against climate science, which is equally as blatant for those who care to look. Under anyone’s definition, the Murdoch press perpetrates conspiracy. Climate change is one area. There are many others. 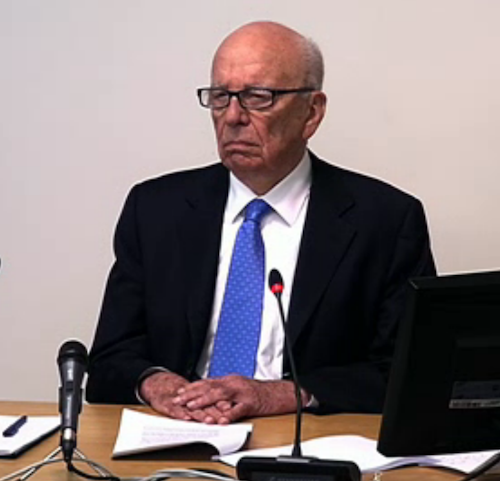 When Murdoch decides who he wants to win an election, they invariably do win. This influence is undemocratic, it’s damaging and until our society wakes up and enlightens itself to the conspiracy, it will go on unchecked into the future. So many conspiracies , great blog! Your book, and writing here exposes you as an agent of disinformation Victoria. The polite explanation would be that you’re simply brainwashed yourself, or mistaken. The less polite explanation would be that you’re part of a conspiracy yourself, only acting as if you’re trying to enlighten people to conspiracies. The game was up when I read your comments about climate change, a massive conspiracy intended to facilitate Agenda 21 objectives, while fooling people into paying dearly for their own ignorance. It is a great scam, very well resourced to make it look like there is a consensus of opinion when it’s really only a few very loud voices belittling those with the audacity to think for themselves. Those running the biggest conspiracies understand human nature and psychology very well, knowing that most people are sheep, willing to be led to the slaughter, just as long as they’re kept happy on the trip. Of course, Murdoch is an immense conspirator, but the irony is that even the worst criminals sometimes do good things. It staggers the imagination to think that sometimes we should respect our worst enemies, even going to the extreme of learning to love them, if we truly want to win this game. Therefore, I salute you for challenging my thinking, and helping us to accept the necessity of being shown all the wrong paths, before we can truly appreciate the straight and narrow. Keep up the good work….